Suffolk County Council has removed the word ‘free’ in their 30 hours childcare marketing promotions. 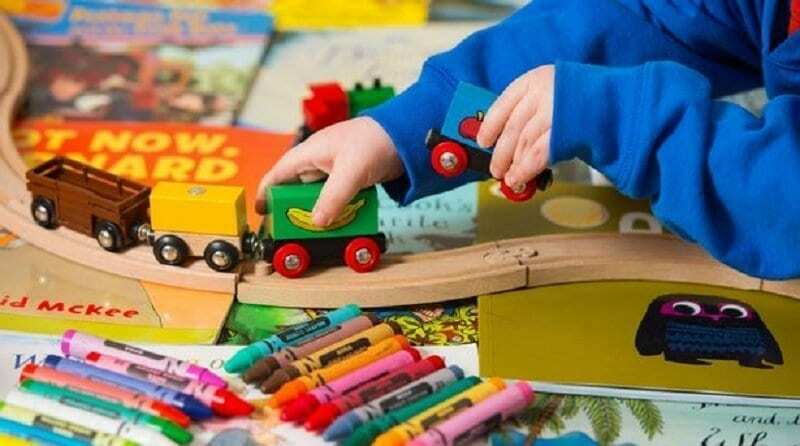 Suffolk joins other local authorities such as Bromley, Somerset, Staffordshire, Surrey, the East Riding of Yorkshire and Wokingham Borough Council in referring to the Government’s childcare scheme as ‘funded’ rather than ‘free’. These changes are welcomed by the early years sector and hailed as a breakthrough by campaign group Champagne Nurseries on Lemonade Funding (CNLF). Suffolk County Council (SCC) posted on their Facebook page: “Having listened to the concerns of Early Years and Childcare Providers, Suffolk County Council has taken the decision to promote and advertise Early Years Childcare and Education using the terminology ‘funded’ rather than ‘free’. “We believe this better reflects the current situation. Following the Government’s decision to introduce 30 hours of term-time childcare last September, SCC received one of the smallest funding pots in England to deliver the reform – just £3.87. This is in stark contrast to the average £5.20 per hour, per child it costs to deliver a childcare place in Suffolk. In a welcome move, a 13p funding rise was approved by Suffolk County Council last week, increasing the hourly rate to £4 from April. The decision followed warnings by providers that underfunding was putting their businesses at risk of closure. In 2015, the Conservatives made one of the most eye-catching pledges in the election: to double funded childcare for eligible working parents of three- and four-year-olds. At the time, the Pre-School Learning Alliance and other representatives from the sector warned that the current scheme was already underfunded by councils and doubling it to 30 hours would result in many childcare providers being put out of business. Under the current rules, providers aren’t allowed to charge parents for the shortfall to cover the costs of providing a childcare place. They are only allowed to ask parents for voluntary donations and charge additional fees for sundries such as nappies. Although it is difficult to put an exact figure on the number of settings who have closed as a result of the underfunded 30-hour scheme, Donna-Marie Row, who owns Yorley Barn Nursery School in Sudbury, estimates that in Suffolk alone it is likely to be “double figures”. Statistics from the annual reports published by Ofsted have shown a marked decline in the overall number of early years registered providers over the past three years. This has dropped from 71,312 in 2014/15 to 65,000 in 2016/17. “As a Suffolk provider, I am delighted with the LA’s decision to drop the word ‘free’ from their advertising. It’s not free…it’s funded and until the government pay us the going rate to deliver a child’s place completely free of charge, providers are forced to make financial business decisions to remain open. “While the 13p funding increase is welcomed, it’s still not enough. We still face challenging times ahead with the looming increase of the living wage and pension contributions alongside other continual rising costs within our sector. The CNLF campaign group has already requested a meeting with the new early years minister, Nadhim Zahawi, to address the issue of chronic underfunding in early years. Zahawi will be the fourth childcare minister that the group has engaged with in the 22 months that they have been operating. How does this affect you? Have your say..